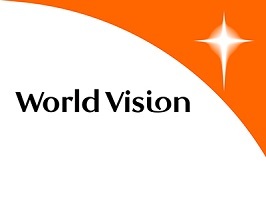 To provide overall guidance and coordination to support World Vision Tanzania’s efforts to mainstream safeguarding (Child and Adult protection) within WVT’s program areas aimed at achieving Child Well Being Outcomes (CWBO). To advance gender equality, women’s and girls’ empowerment through successful coordination and effective implementation of activities related to prevention and response to Gender Based Violence (GBV) in communities thus contribute to children wellbeing outcomes. Support and advocate for Partnership campaigns such as End Violence Against Children (EVAC), It Takes US All (ITUA). Ensure strong partnership with project partners working and engaging directly with field teams, consistency and quality in programming, as well as supporting coordination for advocacy on girl’s and women’s protection and empowerment. Responsible for harmonized implementation of Protection and GBV project activities (in align with WVT approaches) across the three current refugee camps i.e. Nyarugusu, Nduta and Mtendeli looking at both the donor requirements and local practices on Protection and GBV prevention and response. Provide technical support to the Kigoma Refugee Response (Kigoma Food and Nutrition Project) in developing and implementing a multi-sectoral and coordinated Protection (child and adult) and GBV prevention and response programme to include referral and reporting mechanisms, information sharing, coordination, and monitoring/evaluation. Maintain mutually beneficial relationship with all implementing partners. Ensure knowledge transfer to government and implementing partners, including documenting best practices and lessons learned. Analyze and report on programme and project progress in terms of achieving results, using existing monitoring and evaluation tools and introducing new mechanisms and systems where necessary and as the context dynamics allow. Liaise with focal point persons when needed and ensure preparation and submission of project reports. Provide oversight for programme monitoring including setting up of protection and accountability mechanisms. Facilitate dissemination and use of baseline and evaluation findings; and lead implementation of recommendations. Work with staff and partners to identify capacity building/training needs and maintain a training matrix. Develop and revise training materials according to local context and conduct relevant Protection and GBV training sessions for partners, local authorities, WVT staff and other stakeholders. Facilitate capacity building of project staff and partners in Protection and GBV enable them effectively advocate for and implement effective Protection and GBV interventions. Conduct orientations and refresher trainings to staff, local volunteers and contracted workers who directly interact with adults and children on WVT’s safeguarding management Policy standards and ensure compliance. Lead the capacity building initiatives of communities and partners on monitoring and ensure participatory monthly data collection. Represent the Project in interagency working groups, meetings and coordination forums on Protection and Gender issues within the Kigoma Refugee Response established frameworks. Support the National Gender and Advocacy Manager and National Child Protection Coordinator in representing WVT in Protection and GBV stakeholder meetings at National and Regional levels in collaboration with the Program Team Leader, Regional Manager and National Coordinators. Participation in National/International Protection and GBV/FGM key advocacy days at National and Regional levels in collaboration with the Program Team Leader, Regional Manager, National Coordinators and other Partner Agencies. 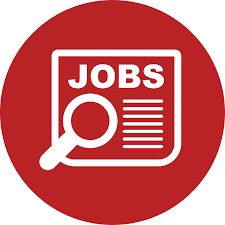 Work closely with UNHCR Protection Unit and Lead Protection Agencies in Protection and Advocacy, and government affiliated departments within ministries for technical direction and leveraging of resources to support Protection and GBV/FGM interventions in the project area. Support fundraising initiatives in collaboration with Grants Acquisition and Management and Quality Assurance Teams. In collaboration with other actors, assist in developing initiatives to ensure regular and consistent advocacy on GBV concerns. A good understanding of the international gender mainstreaming approaches and the international protection framework for refugees and asylum-seekers. Proven track record as a staff and community trainer and capacity builder in Gender and Development, prevention and response to GBV and other harmful cultural practices. Good understanding and working experience of development, advocacy and emergency affairs approaches. Experience and understanding of Protection and Gender/ GBV programming on the ground the understanding of the role and importance of addressing gender justice and GBV in the development or humanitarian field. Experience in training development, delivery of staff training, adults learning and development. Familiarity and understanding of Protection and Gender/GBV in the community setting and gender/GBV industry progress in related fields and the contribution of Civil Society Organizations’s and faith-based agencies. Understanding of gender norms and the contribution of cultural and religious social teachings towards gender justice, protection, safety and elimination of violence, in particular against women and girls. Travel: 30% Domestic travel is required. On call: Available as required.